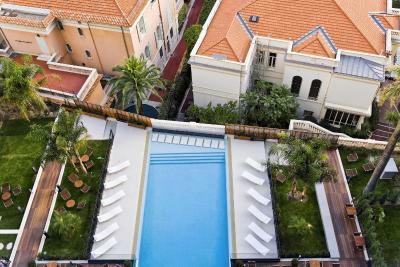 Lock in a great price for Novotel Monte-Carlo – rated 8.2 by recent guests! The renovations especially in the Reception Bar and Restaurant are very well done. Staff were friendly We had dinner twice and were happy with what we had. Parking facility with reasonable charges given the location. Overall convenience of location. Decent room. The staff was professional, effective, and efficient (specifically Clementine). Unfortunately there was an issue at the hotel, but they promptly moved us to a partner hotel (a lovely upgrade). I will certainly book with them again. Near to the station and within walking distance to the casin and restaurants. The eggs too fluffy for my taste, but nonetheless not bad at all. the staff are brilliant. It was my fourth time staying with you. This was the nicest hotel we stayed at during our 5 city trip, truly a luxury hotel. Nice room with comfy beds and even a swimming pool if you have time. Definitely try the restaurant, the food is outstanding! Great stay but of course in the Monte Carlo area you will find much higher prices than need be. The room was nice but the price was high because of the location. Overall recommend! Excellent customer service and the room was more than enough for two of us, it was great. Unbelievably happy with this hotel and all the staff, from checking in to departure unreal service. Absolutely helpful people anything we requested was granted even a very late check out. I would like to thank Booking.com for having such a wonderful hotel on the list. Also thank everyone at the hotel for everything. 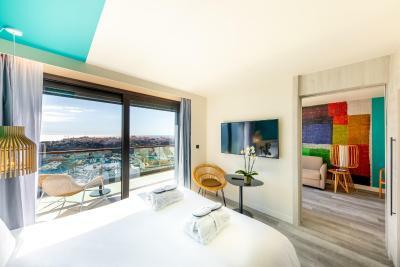 Novotel Monte-Carlo This rating is a reflection of how the property compares to the industry standard when it comes to price, facilities and services available. It's based on a self-evaluation by the property. Use this rating to help choose your stay! Novotel Monte-Carlo is undergoing renovations until March 2019. 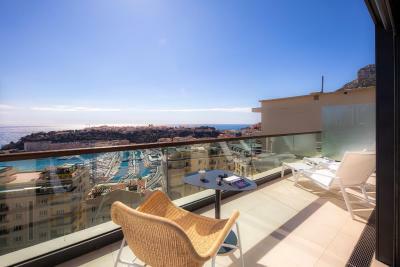 In the heart of the Principality of Monaco, it is a short walk from the train station, Place du Casino and Grimaldi Forum. 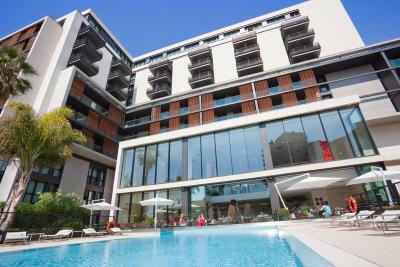 It offers a seasonal outdoor pool with sun loungers, a fitness room and a hammam. 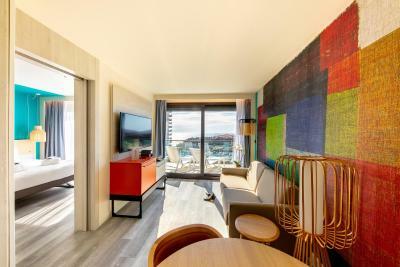 All air-conditioned rooms and suites at the Novotel Monte-Carlo are furnished with a desk and free Wi-Fi is provided throughout. Each has an private bathroom and some rooms have a view of the swimming pool and garden. The hotel offers a variety of breakfast options including an American breakfast buffet, room service and a quick breakfast is available in the bar. 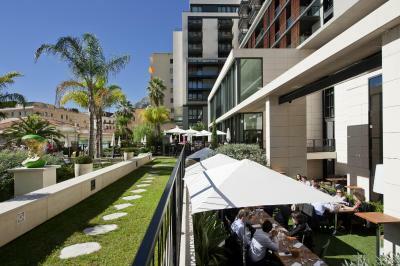 The NovotelCafé, which opens onto the garden, serves Mediterranean cuisine and there is an on-site bar serving snacks over lunch and dinner. Guests have access to 2 computers on site and the property features meeting rooms. Casino de Monte-Carlo is 1,950 feet from the hotel and Port Hercule is less than 10-minute walk from the Novotel. The Rock of Monaco is a 20-minute walk away. 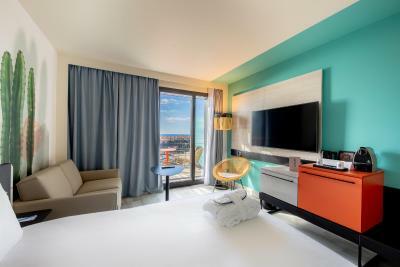 When would you like to stay at Novotel Monte-Carlo? 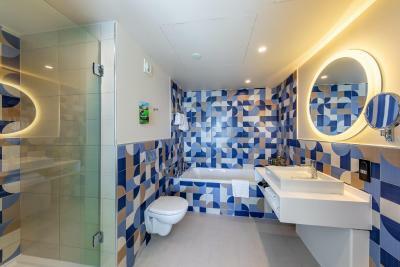 Air-conditioned superior room for up to 2 adults and 2 children (under 16 years old) that features modern décor with a safe, minibar and free Wi-Fi access. The private bathroom has a walk-in shower and a bathtub. 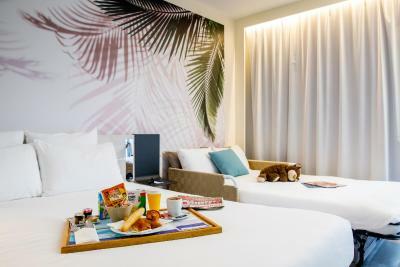 This air-conditioned superior room for up to 2 adults and 2 children (under 16 years old) features modern décor with a safe, minibar and free Wi-Fi access. 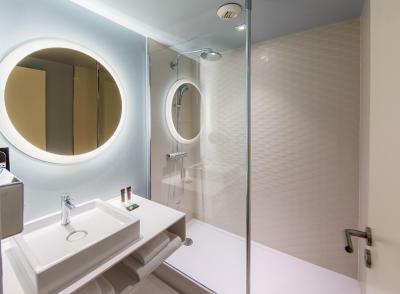 The private bathroom includes a shower and a bathtub. 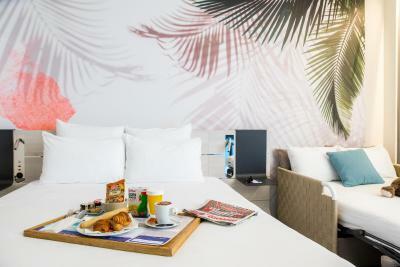 This air-conditioned room features modern décor with a safe, minibar and free Wi-Fi access. 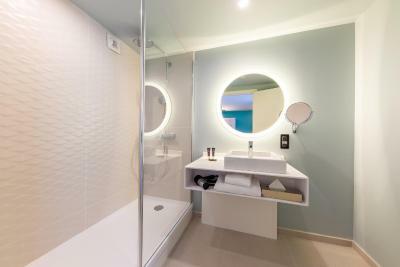 The private bathroom includes a bathtub, shower, slippers, bathrobe and well-being kit. This triple room has a soundproofing, satellite TV and sofa. This triple room has a electric kettle, sofa and flat-screen TV. This triple room has a electric kettle, sofa and mini-bar. This twin room has a sofa, soundproofing and mini-bar. 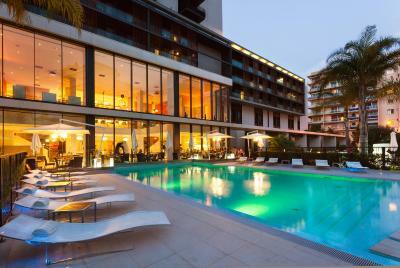 Relax in the heart of Monaco at the Novotel Monte-Carlo hotel. 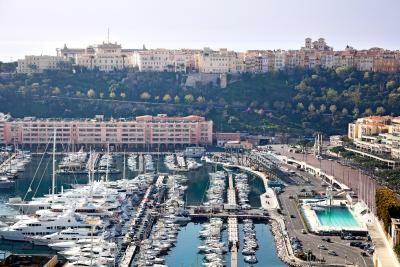 The hotel has spacious rooms, some of which have a view of the sea and the Rock of Monaco. Unwind in the fitness room or relax in the hammam or outdoor pool. To ensure your events are a success, we have 12 modular spaces available that can accommodate up to 230 people. Sample Mediterranean flavours at our restaurant then try your luck in the casino, just a 10-minute walk from the hotel. Hotel surroundings – This neighborhood is a great choice for travelers interested in clubbing, clothes shopping and romance – Check location Great location - show map Guests loved walking around the neighborhood! 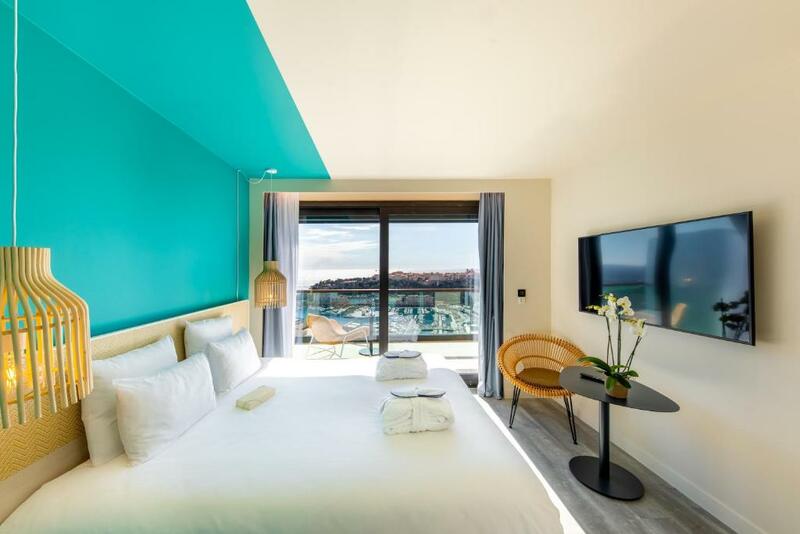 House Rules Novotel Monte-Carlo takes special requests – add in the next step! Novotel Monte-Carlo accepts these cards and reserves the right to temporarily hold an amount prior to arrival. 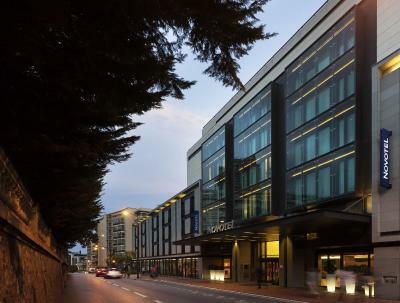 The property will be going through renovation works from 2 January to 31 March 2019. During this period, guests may experience some noise or light disturbances but all facilities will remain open. Please note that the car park has a height limit of 6.9 feet. 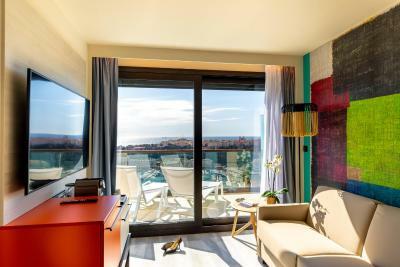 Guests will be charged EUR 29 per day from 1 July to 31 August (inclusive), and EUR 25 per day throughout the rest of the year. Please note that guests will be asked to show the credit card used to make the reservation at check-in. If you do not have the credit card please ensure you contact the property in advance to let them know. Nice view from the executive rooms. Clean and refurbished interior, fee non alcoholic beverages in the minibar. Excellent service and staff. Much better than a lot of 4 star hotel! the people at the reception are really nice and client oriented and very helpful. thanks a lot. Even though breakfast is served to 10am, we’d strongly recommend avoiding going for breakfast after 9am - you may end up having to carry everything upstairs to the bar area like we did a few times (average 8.55am!) Even if you’re lucky enough to get a table at this time,it’s total utter carnage at the buffet and really difficult to enjoy your breakfast properly - would be good if they could perhaps look into this and create more space for everyone at this peak time? Layout of breakfast buffet, cheap fittings in room. Toilet should have a little sink since it is separated quite far from bath. Only paper and plastic cups provided. Not so eco. And not good for coffee. Some missing pieces in the bathroom, like missing buttons in the shover, etc. are giving it a jugoslavian-pre-90ies-style... better maintenance is strongly suggested. Breakfast ok, same choice, variety and brands than at Marriotts. Comfortable and overall good as per the lounge, bar and terrace. Underground parking (reserved floor at -4 in a public parking. 25E per day). Friendly staff. The property was doing renovations, as such the lobby was being painted and had workmen in. Not a good look unfortunately. Stunning views from the hotel room, staff where very friendly and the casino was only a 5 minute walk away. Great views from our room. I don’t drink coffee and getting a decent cup of English breakfast tea was a bit of a challenge . When we checked out were asked to pay for breakfast when we had already done it.